Danger! High Voltage slots online! Usually, you might want to stay well away from any sites of high voltage for fear of your health. After all, you don’t want to get electrocuted. But the Danger High Voltage casino slot game from Big Time Gaming challenges that intuition and invites you to come and play with danger. It could work out in your favor ultimately, as you might get to walk away with the big jackpot! Big Top Gaming may not have as large a portfolio as some of the bigger gaming companies, but they have still been able to establish themselves as one of the best team of developers working at the minute. You don’t need to play their games, such as Feathered Frenzy Slot and Queen of Riches, to see the standard of work that this company is producing. All of their excellent game design and innovation is also here to see in Danger High Voltage. Learn about UK games of slots by Big Top Gaming! Danger High Voltage is well lit up – it looks like the game takes place in a disco surrounded by neon lights. There are green and yellow lasers slowly rotating around the room and there’s also a lot of smoke rising from the bottom up. There’s certainly a lot of voltage used to power this bright and vibrant design! For more tips in playing the best UK online slots, read our guide! 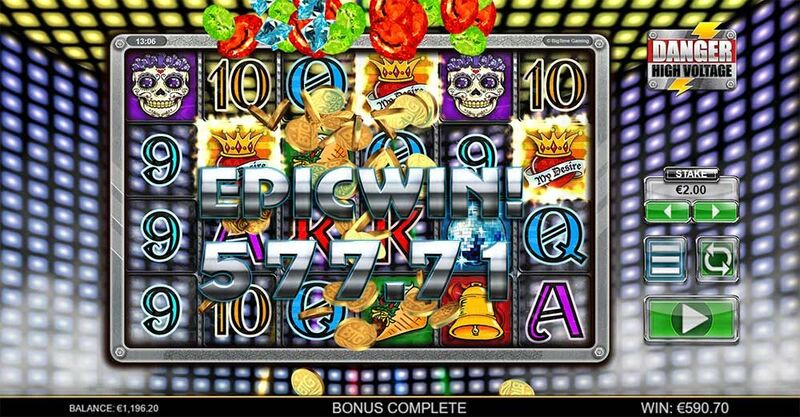 One thing that makes this slot game stand out from most of the others out there is that it features six reels rather than the traditional five. This means that your chance of scoring some winning matches is greatly increased too! Each symbol on the reel has a different worth, and the letters are the lowest values. It’s necessary to try and match the picture symbols up as they have the bigger jackpot potential. Unusually for a game that is themed all around electricity, most of the symbols are Mexican-themed, and you will notice Day of the Dead skulls and filled tacos. Not only that, though, but there are a few extra symbols that can increase your winnings even more. FULL REEL WILDS – The fire and electricity symbols are the game’s Full Reel Wilds. These can fall on the second and fifth reels and will replace all non-bonus symbols. SCATTER SYMBOL – The heart symbol is the Scatter in the game and you need to land three of them on the board in order to unlock some free spins. There are two types of free spins you can activate: the Gates of Hell ones or the High Voltage free spins. You will get seven freebies if you pick Gates of Hell and will benefit from Sticky Wilds during the spins. 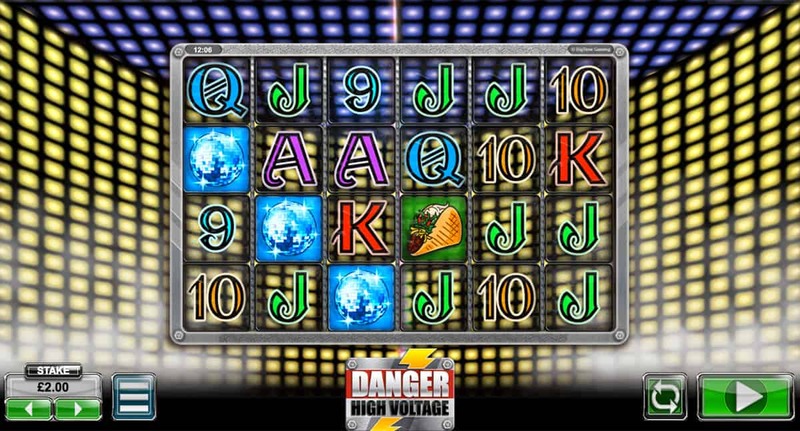 High Voltage offers you fifteen extra goes and some multipliers.